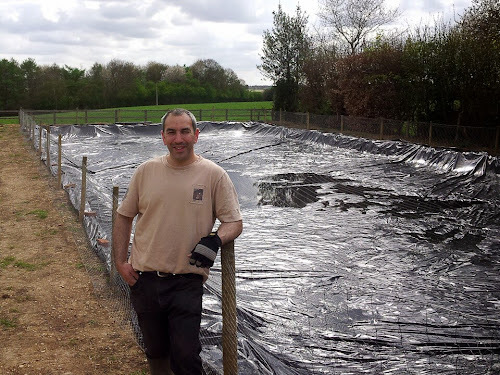 On Wednesday 11 February 2015 and as the first presenter of 2015 we were very pleased to welcome our own Adam Byer to present his Koi Breeding Project. As expected the night was extremely well attended by the club members. 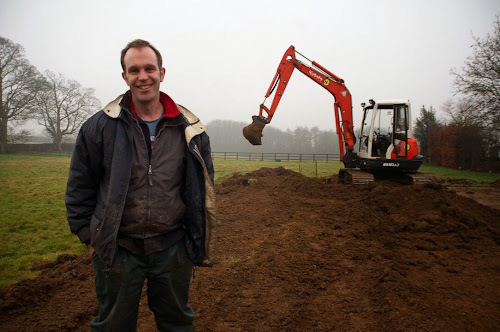 Adam regularly keeps his blogging site and Facebook page updated so please make sure you keep track of his progress. How they compare to their siblings. He always likes a challenge. To work out the best combinations. 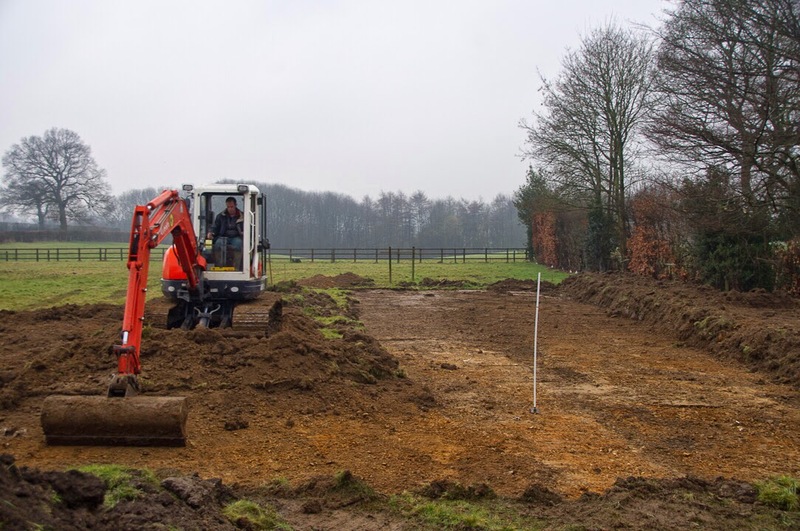 To start off, he planned out the project with Mark Davis from Cuttlebrook about six months before he started the first site preparation. 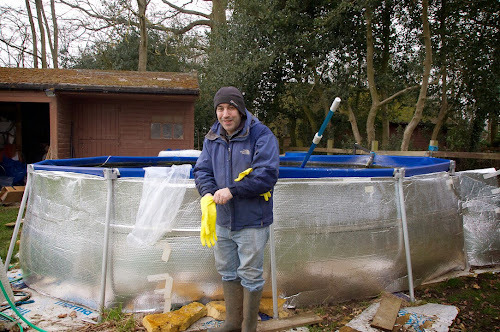 The first step with every koi related project was to move his existing koi from their existing pond onto a vat on the patio. This freed up the space for the two shallow ponds (60-30cm deep) that were 27m x 12m each. 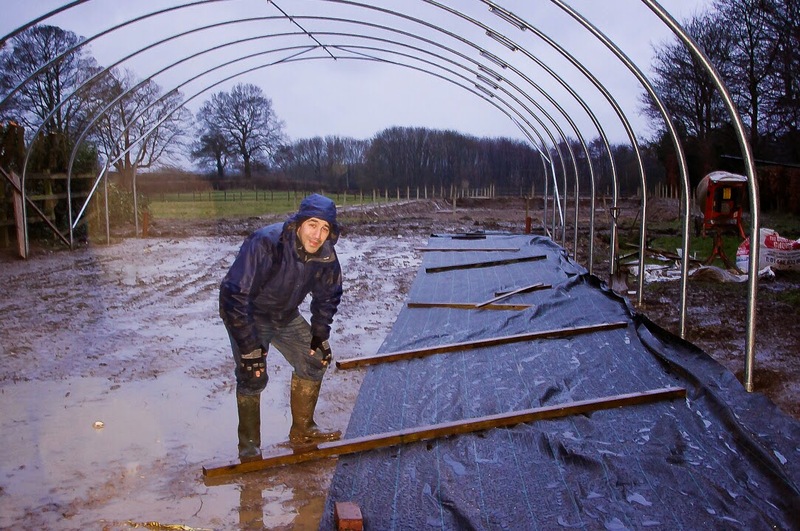 The size of them was carefully planned to be able to have a capacity for 20-30,000 fry in each. The logic behind the sizing is that breeding koi is a numbers game so therefore the more you produce the greater the probability of higher quality results. 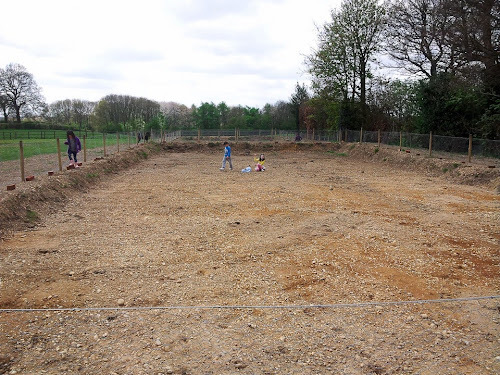 The preparation of the fry ponds included Adam and the family spending a day in each fry pond removing all the flint and stones from the base. Looks like the kids were having fun! 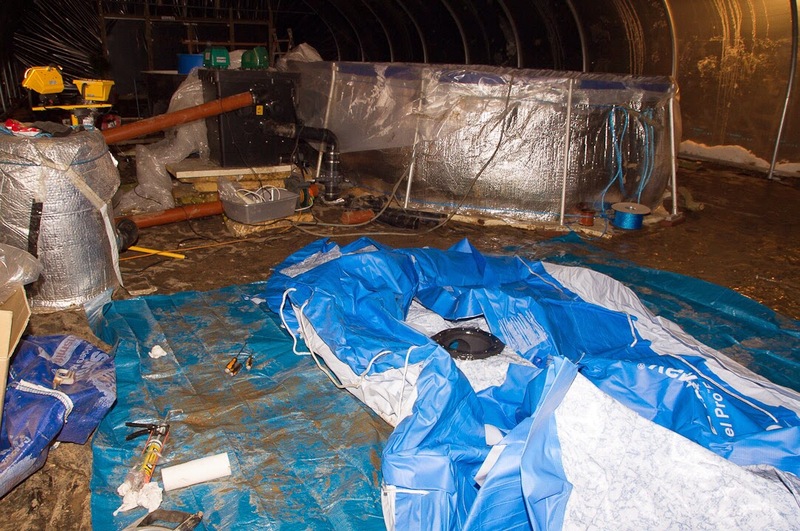 This lengthy task was required to reduce the risk of the liner getting damaged once the water (and its weight) was added. 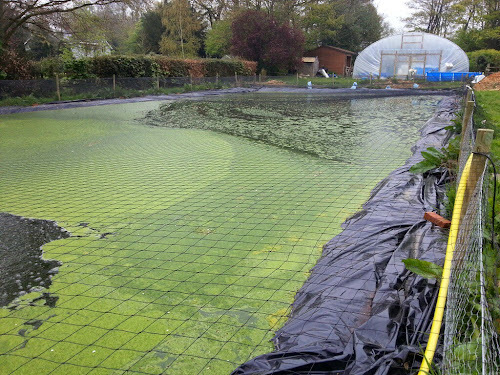 Once the fry pond had the liner in place and the fill began. 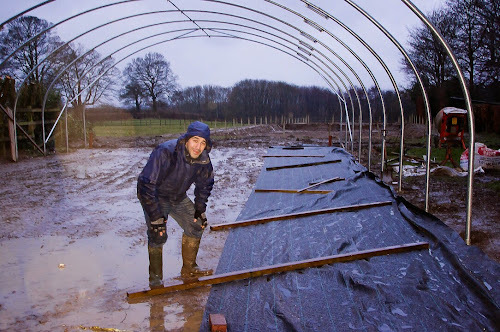 This was the first big milestone of the project ticked off and Adam was extremely happy (and exhausted). The next stage was to put up the 10m wide by 20m long poly tunnel for the spawning and to keep the brood koi. Initially the weather was kind but that didn't last and this went into one of the wettest springs on record. 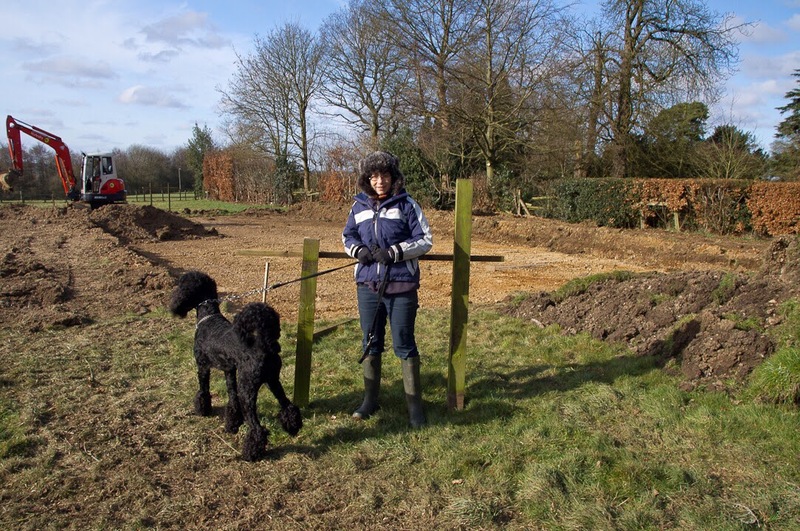 Saying that nothing stopped the progress, it's was just a lot muddier! 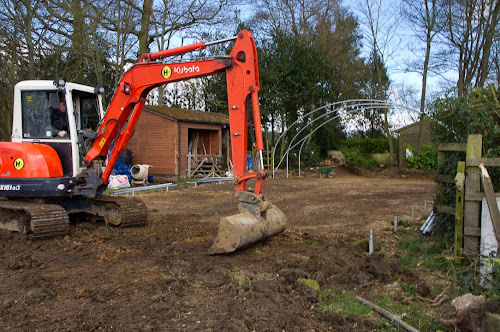 The pipe work was put together in the modular design that allowed for additional drum filter to be added at a later date and also to allow any additional vats to be easily incorporated into the existing plumbing without the need for completely new filtration etc. 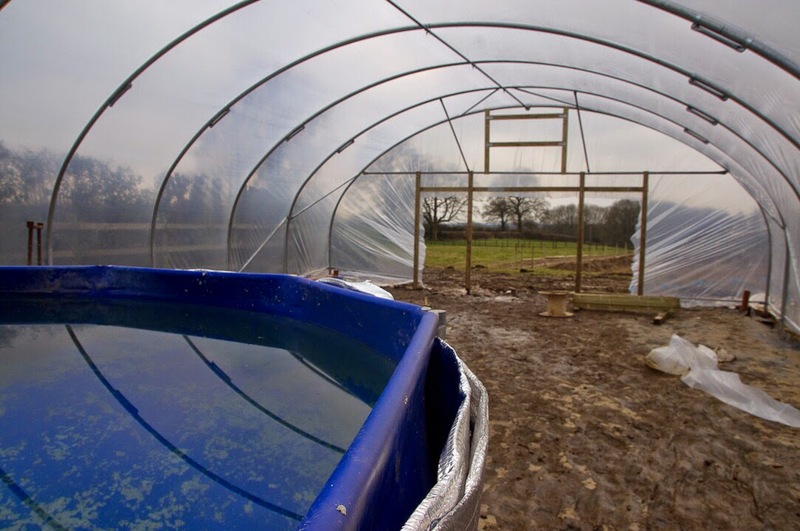 Once the polytunnel roof went on the the initial vats were added and soon there was a fully operational set of vats. 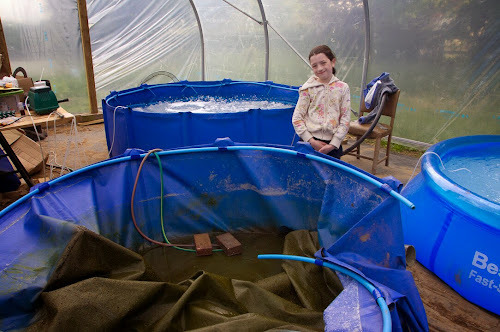 One tank for males, one for females, a couple of spawning and a couple for growing on. 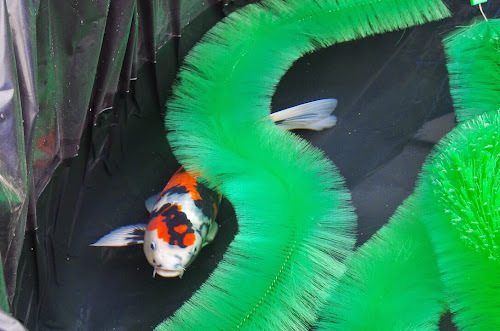 The first spawnings were of sanke and the another of Kohaku. 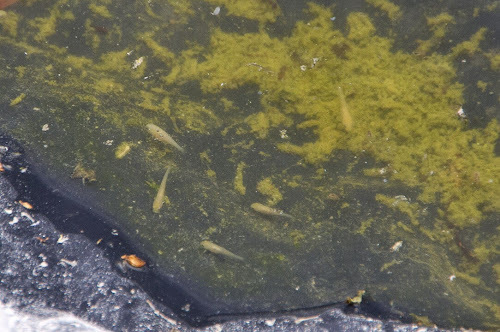 As a result there were about 2000-3000 fry and although these do not represent large numbers (not enough initial hatchlings) there was a good success growing them on within the fry ponds. The kujaku spawnings both went really well but unfortunately none fertilised. 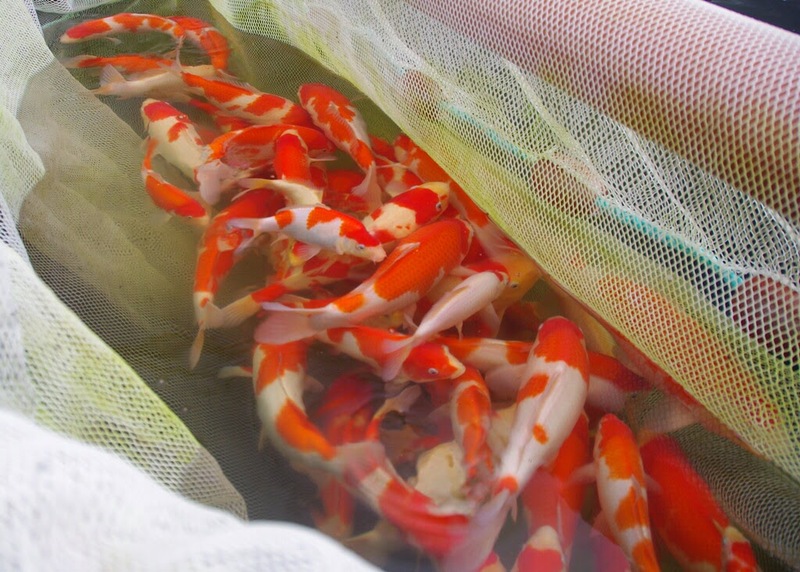 Further Kohaku and shiro spawnings were successful although a large number of the shiro were lost with gas bubble issues. 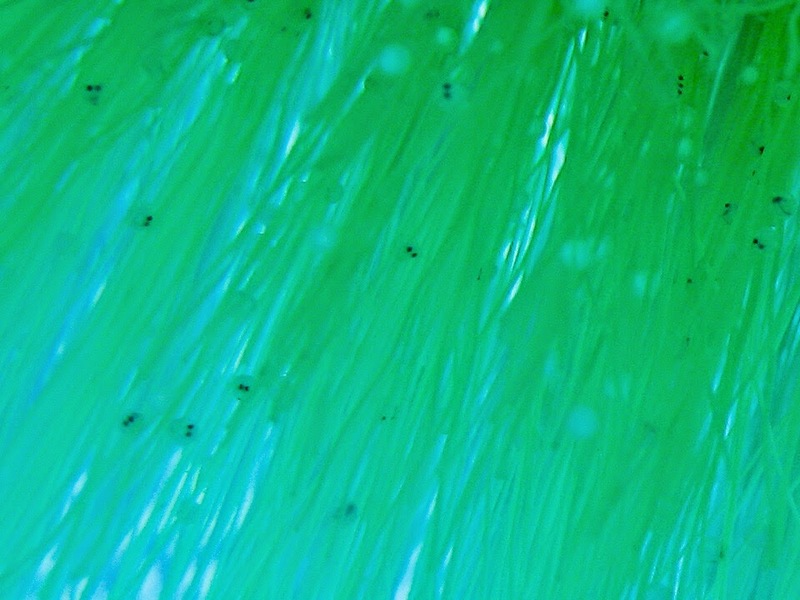 To try to improve the numbers of fry, Adam tried a number of different approaches to spawning by using brushes around the edge on one, crisscrossed in another just with some left over liner around the edges. Adam reared about 4000 in total out of 8 spawnings which was a disappointing number. Looking on the bright side this reduced number did allow for a good more focused learning curve for rearing a smaller number of koi in the fry ponds and also for the selection process. In his first year there were a lot of setbacks although looking back it was also a superb but extremely steep learning curve. 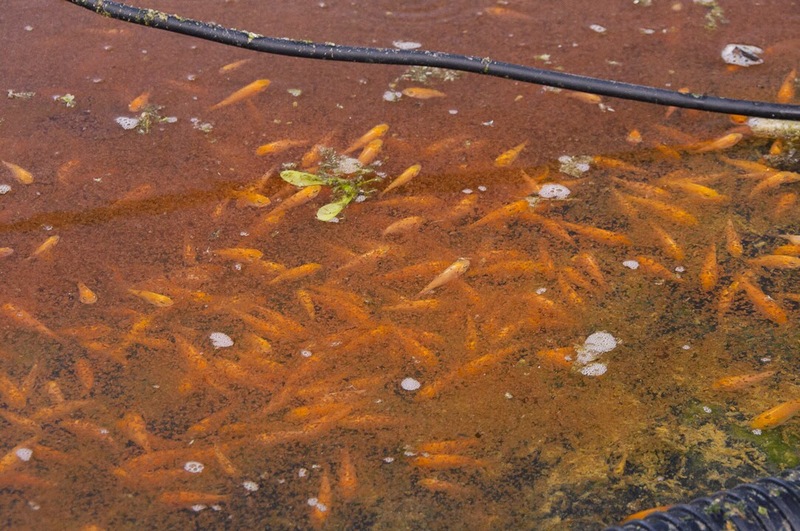 After the South East koi show there was a costia outbreak due to the koi movement. This first became apparent when Adam starting loosing fry. By the time he tested them it was becoming too late. He added salt upto 0.9% and whilst the fry were uncomfortable he didn't loose any more. This was probably caused by an end of season tiredness and also just a dropped guard at the end of an extremely tough time consuming first season. The initial spawning went extremely well with increased numbers of fry. All the initial phases went although after three weeks in the fry pond Adam noticed there was some flicking. After testing a number of the fry there were no parasites so after five weeks he harvested them and they all all fine. 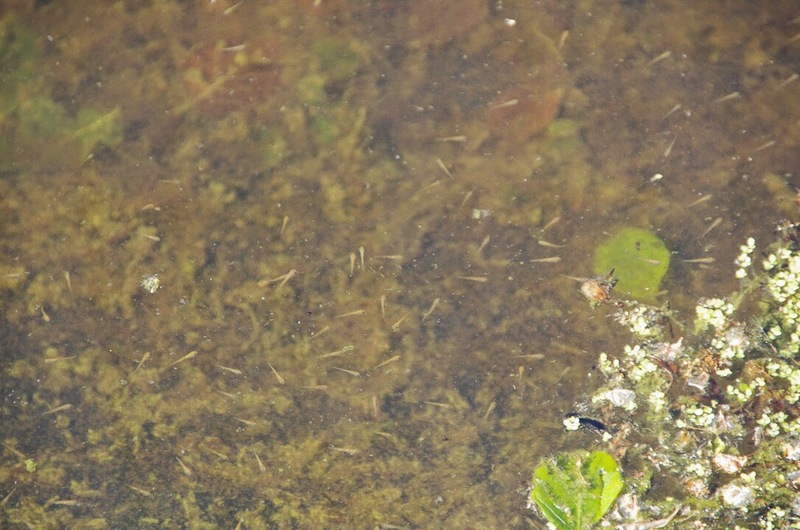 Within the fry ponds, in every metre there were fish swimming about which was a great site. The spawning success was not always guarantee and there were only three successful spawnings out of twenty. Adam's persistence finally paid off with his Kohaku female and the specially selected males. First night they had no success, and first thing in the morning (4-5am) there appeared to be no interest but half an hour later they were spawning and eventually harvested 22k in this first go! This was a fantastic success. 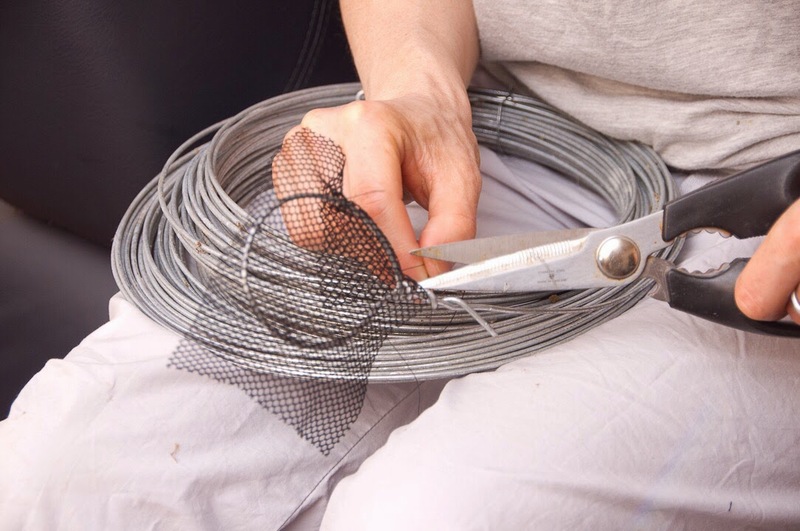 Catch them all, put them in a pan net 10-15 at a time, 70% it's clear that you don't want, the rest you have to spend more time. Mark at Cuttlebrook uses magnified glasses that Adam will use next year. With all the financials spent on the project setup and brood stock koi it's still good to see that Amanda is still very willing to produce homemade selection nets!! After three months and a number of selections, Adam reduced the numbers down to 500. Which is only 2.5% of the total fry. 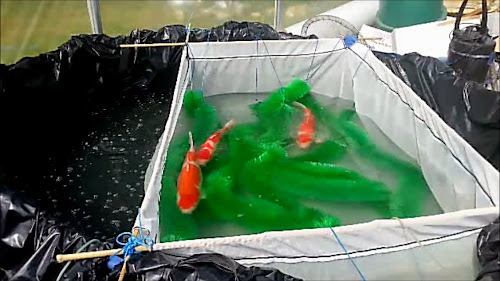 After growing them on within the vats, unknown to Adam there was a small hole for the in one of the nets so some of the deselected koi managed to mix in the with the selected ones. As a result 2000 grew on...! In parallel to the breeding project, Adam experienced some parasite / ammonia issues in the poly tunnels which took a lot of time away from the spawning project. As a last throw of the dice Adam bought in some new males because the existing ones weren't producing milt. 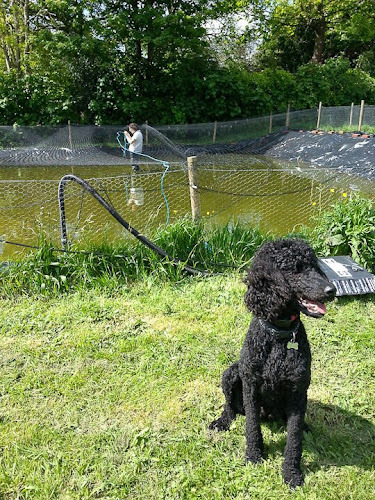 As a result there were three successful spawnings in one weekend. One of his females even managed a second spawning within two months which was fantastic. 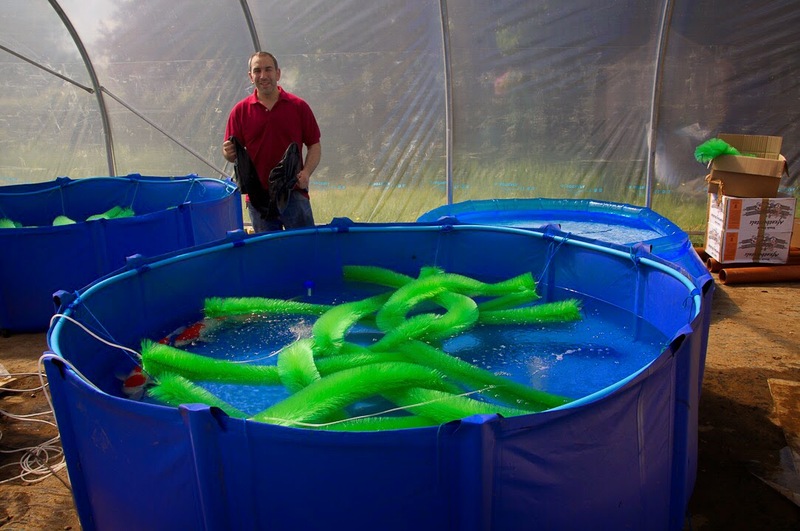 These fry grew on very quickly and were 1.5" in 4 weeks as there was lots of daphnia bloom in the fry ponds and everything just worked. Following the first selection Adam kept around 20% with patterns above the lateral line which was superb in comparison to the early year spawning. For the second selection, 282 made it through out of the 2600. It's a numbers game! 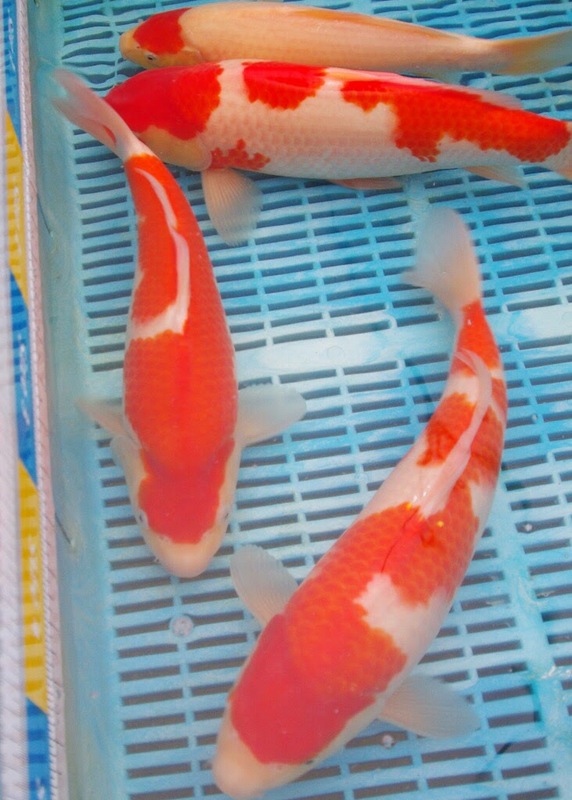 As a mark of the success of the home breeding project in 2014 Adam entered two Kohaku koi into the Kangei summer show. As an important first step they came first and second in size one beating another koi. 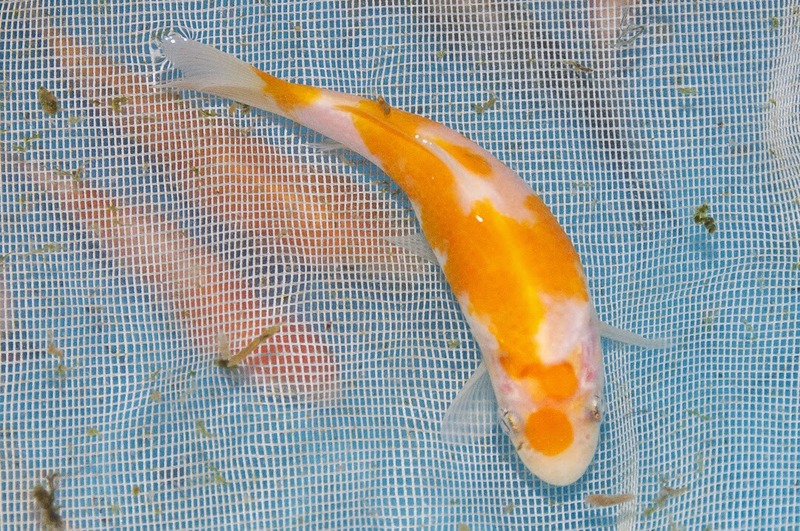 At the end of September, Adam also entered some 18-21cm Kohaku Into the South East koi show. 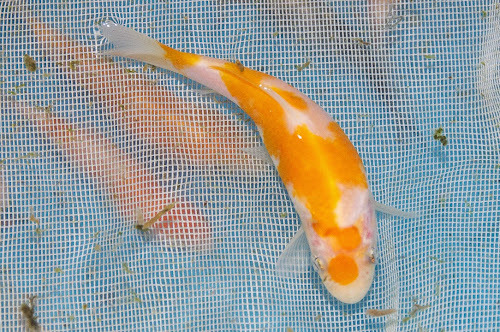 It was a superb experience to share the positives of the breeding project with many members from our club and also other koi keepers. 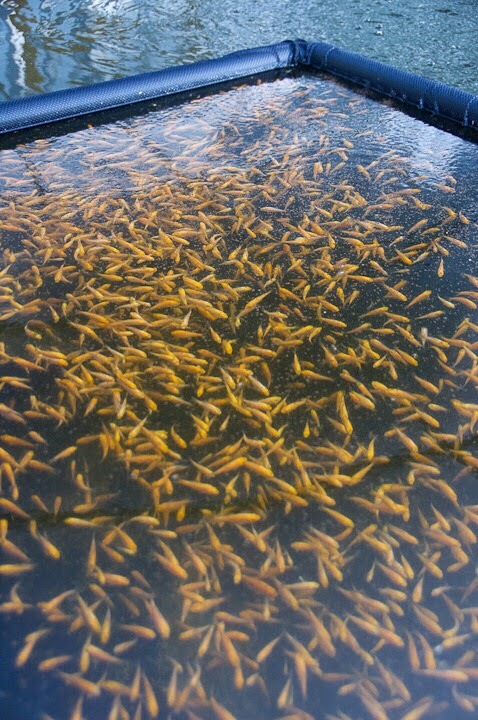 Shiroji starts to be visible around 4-5 weeks. Orange ones don't want, white ones don't want the rest you do. Interesting fact here a Kohaku is a white fish but it's born red!! 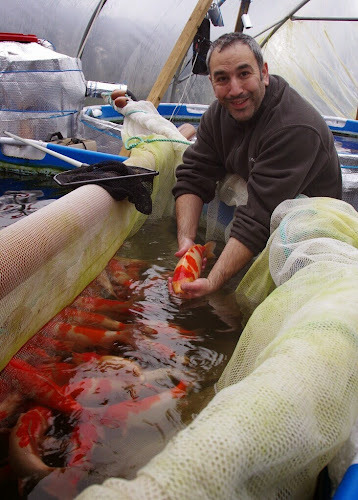 A very special thanks from all the members of Kangei to our own Adam Byer for providing a superb and very honest insight into his koi breeding project. The passion he has shown for this is significant and I'm am so pleased to say the results for 2014 are a great achievement. 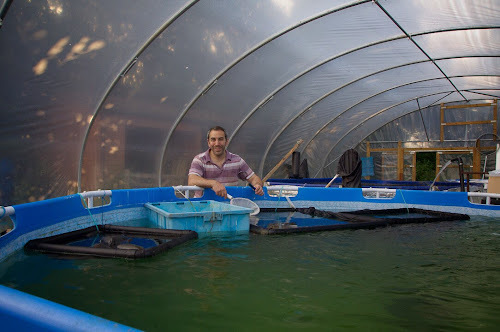 Next month (Wednesday 11 March 2015 from 19:45) we have Malcolm a Green from Koi Water Gardens providing us with the talk on his recent buying trip in Japan.